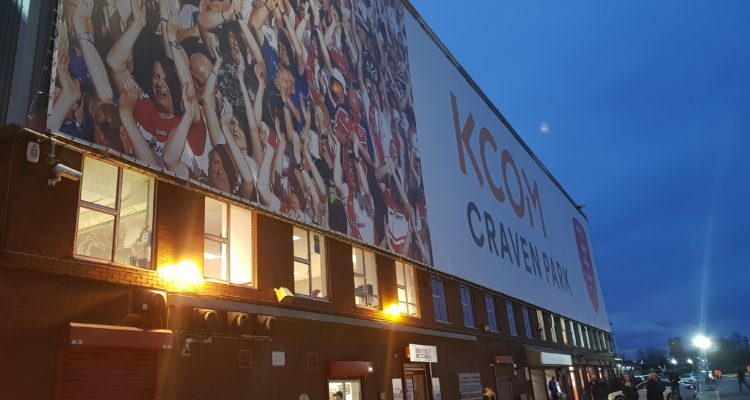 As Hull FC were our last club in focus, we’ve moved over to the east of the city and got the opinions from a couple of Hull Kingston Rovers fans. Our thanks go to James Purling and ‘Sidney Kidney’ for their time and insight. JP: Been HKR supporter since 1978 – first game a Challenge Cup tie at Boulevard. Season ticket holder most years since then so have seen a fair view ups & downs. 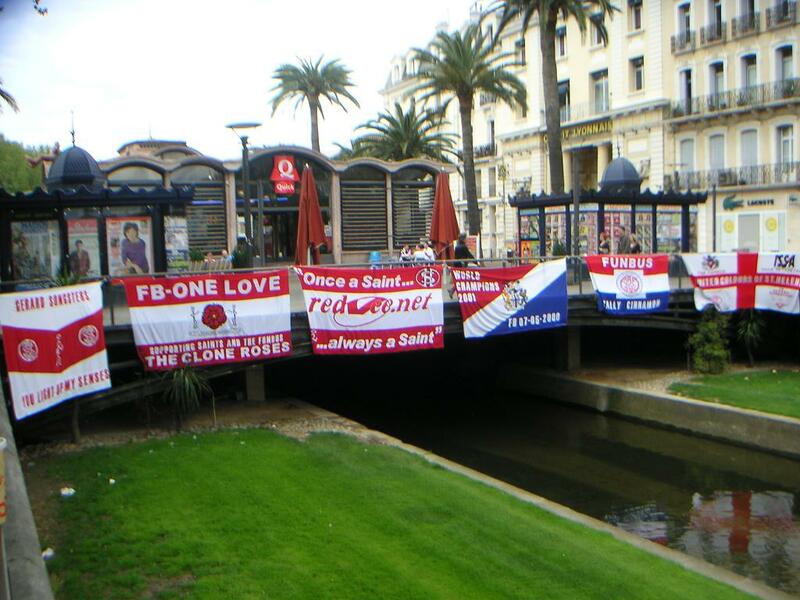 Go home & away usually with my wife who fortunately is as passionate about Rovers as I am! One of our 1st weekends away together was to watch HKR at Knowsley Road in March 2007, followed by a weekend camping in the Lakes. And she still married me!! SK: I started supporting Hull KR in early 1970s. I watched a floodlit game on TV and it was Rovers and they became my team. I’m not from Hull and have lived in Liverpool all my life and my contact with Rovers from that floodlit game until Rovers made Super League was just looking for their result in the paper. My sporting love was Everton. I watched a Rovers SL game and became hooked. With work commitments and being in Liverpool it’s difficult for me to get to watch many home games but I get to all the away games in the North West. SK: Last season was always going to be one of consolidating SL status following the return from relegation so a finish in the bottom 4 came as no surprise. The qualifiers was a test with Leeds, Salford, Toronto and Toulouse but we managed to drag ourselves over the line. A win at Leeds was the highlight but typical Rovers then lost at Toulouse which put pressure on for a final game at home to already relegated Widnes. Joel Tomkins has taken over as captain from Shaun Lunt, what do you think of this move? Is he the right man for the job? JP: It’s certainly come from left field . I suppose most would have expected McGuire but I don’t think he’ll play the majority of games this year as he’ll rotate with Atkin & Drinkwater & you need someone who’ll play the majority of games. But like Lunt, Tomkins has been there, done it & got the t-shirt so knows what it takes to be a winner. That the squad voted for him shows the esteem he’s held in. It could be an inspired appointment. SK: Last season Rovers had a number of players with long term injuries such as Lawler and Addy and they should be challenging for first team spots. Sean Lunt still hasn’t regained fitness following his hospitalisation and has stood down from the Captaincy. The players have had a vote and elected Joel Tomkins as the new Captain. 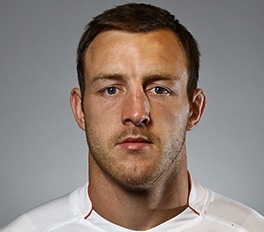 I believe the Coach should choose the Captain and Danny McGuire would be my preference. Tomkins perhaps would not be in my first 13 and whether his appointment is ” the lads voting for one of the lads” is a possibility. Kane Linnett and Josh Drinkwater are two eye catching signings – are you happy with the recruitment as a whole (both in and out)? Is there any other position you would look to strengthen? JP: Very happy with the recruitment. Have more strength in depth than previous years which will hopefully smooth impact of any injuries. We’ve needed size in the forwards & have got that with Linnett & Garbutt. Cover at halfback has also been an issue but Drinkwater signing gives us options with McGuire & Atkin. Effectively got 2 new players from last year with both Addy & Lawler back from long term injury plus Vaivai & Tomkins having full pre-season gives even more reasons to be optimistic. SK: Rovers fans are eagerly awaiting the new season. Recruitment has been superb. Linnett, Drinkwater and Keinhorst are signings that most SL teams would love to have and Robins fans feel this could be the year to make a mark on SL and climb the table. Who should we be looking out for in a Rovers shirt this year (and why)? SK: Last season Rovers had a number of players with long term injuries such as Lawler and Addy and they should be challenging for first team spots. SK: There are a few young players aiming for first team places such as George Lawler but give the recruitment it may be the case that youngsters such as Elliot Wallis may have to wait for a chance or could be sent on dual reg. JP: Yes!! Though HKR should get a loyalty award from the RFL for being in all of the Middle 8s! SK: This season we are in the new Elstone world with shock clocks , golden point and loop fixtures. I’m sceptical about it at present. The previous system added end of season excitement and that seems to have been removed. Loop fixtures will just be ” more of the same”. I was not impressed with the appointment of Elstone. Many Everton fans like myself felt he ran the club like it was a corner shop and was unambitious so it remains to be seen how he runs SL. JP: 7th/8th would be a sign of continued progress in my opinion. If the injury gods are kind, then there should be enough quality in the HKR squad to achieve that position. However I think most clubs have recruited well & 2019 looks like being the most competitive season for a long time. A cup run would be good but priority needs to be finishing as high as possible in the league. Could then look to challenge for silverware from 2020. SK: My hopes and expectations for Rovers this season are a decent Cup run and at least a mid table position in SL. We could beat anyone on our day so a Wembley trip can’t be ruled out. I do think we will finish higher than our beloved black and white neighbours. Their recruitment has been very average which is surprising after their dreadful finish to last season. JP: League Leaders & GF winners. Not that it’ll be needed but experiences of 2017 & 2018 will provide the drive. Think Saints will get to Semi-Final of the Cup. As to which players I’d be most worried about against HKR….all of them . Saints have quality across the park – Lomax, Percival, Fages, Makinson, Roby etc. Looking forward to seeing Naiqama in SL – a genuine quality NRL recruit. It’ll also be great to see Alex Walmsley back playing. SK: Saints will have another decent season challenging for all trophies. One of my favourite players is Louis McCarthy-Scarsbrook. He’s very under rated and is the heartbeat of the Saints team. It will be interesting to see how Saints go without Barba. They didn’t manage to win SL with him so I suspect they’ll fail to win it without him but should be there or thereabouts.